Collagen and Hyaluronic Acid are necessary to keep skin and bones strong. Liquid BioCell is a breakthrough in science that uses one-cell collagen and HA to rebuild cartilage (yes, new knees or shoulders!) Modere's personal/home care products are gray water safe. Use the promo J284481 to get $10 off your first order of any product. 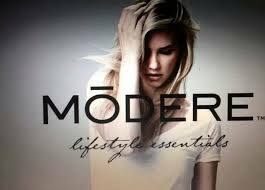 Enter code "j284481" at checkout to receive $10 off your 1st order at www.modere.com/j284481. You will receive your own promo code to share where THEY receive $10 off 1st purchase, and YOU receive ANOTHER $10 towards purchases-EVERY time someone redeems your code up to $200. Business opportunity also available! Contact Michelle,216-789-3765. 30-years' success global company. Breakthrough science. Greywater safe cleaning and personal care products.